At Privaira, we make the safety of the passengers, crew, and aircraft our top priority. Due to safety being an integral part of the aviation culture, it’s in every aspect of Privaira’s operations. It’s for this reason that each planning meeting covers the topic of safety and it drives our day-to-day decision making. In fact, we encourage safety with the support of our entire staff, all the way to the CEO. Additionally, our comprehensive Safety Management System (SMS) ensures internal compliance with established safety policies and directives. Safety guidelines in all areas of operation. Regular safety checks of all flight, maintenance, and security procedures. Continuous tracking and reporting of safety-related issues. Active safety and security policy reinforcement by senior management. Emergency Response Planning and training. Privaira takes pride in our record of meeting and exceeding the most demanding external audit requirements. These requirements include guidelines and regulations issued by the Federal Aviation Administration (FAA). 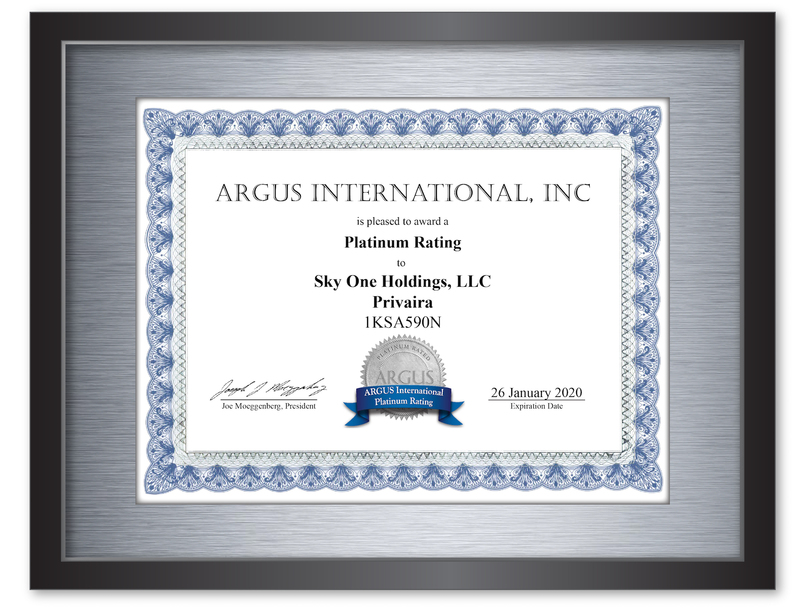 ARGUS International (ARG/US) is a worldwide leader of on-site safety audits for corporate flight departments, charter operators, and commercial airlines. ARG/US provides a monthly internal evaluation checklist. As a result, the checklist ensures our Safety Management System (SMS) helps us meet safety standards set by ARG/US, IS-BAO, and the FAA. Privaira earned the operator’s highest safety rating award, an ARG/US Platinum Safety Rating. After completing an intensive onsite operations audit, Privaira holds membership as part of Part 135 Platinum-rated operators in the country. For more information about the ARG/US ratings, visit the ARG/US site. You can view our ARG/US Platinum Certification here. The year 2002 saw the formation of the International Standard for Business Aircraft Operations (IS-BAO). 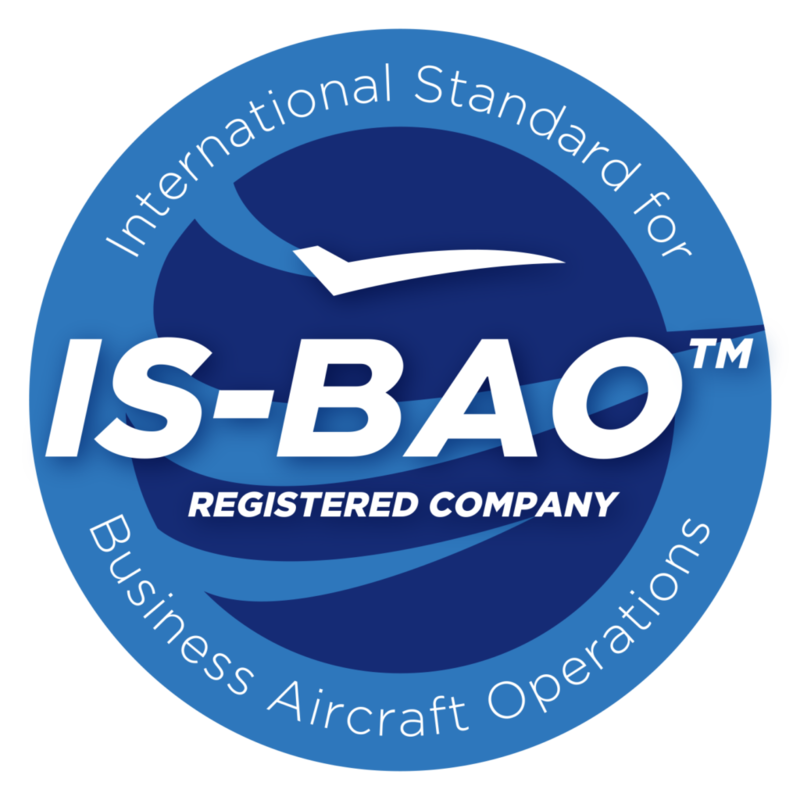 The IS-BAO organization promotes using high-quality operating practices for international business aircraft operations. IS-BAO operates for the purpose of providing flight department structure, as well as planning and conducting their operations. Another key point to IS-BAO is it challenges flight departments to review systems, programs, and procedures for strengths and weaknesses. Knowing where to improve helps the company upgrade to a higher standard. Furthermore, with regular audits, IS-BAO confirms that there is an established SMS infrastructure with appropriately targeted safety management activity. As a result, these audits help ensure that all safety risks are effectively managed. You can view our IS-BAO Certification here. Privaira is a Wyvern approved air charter operator. 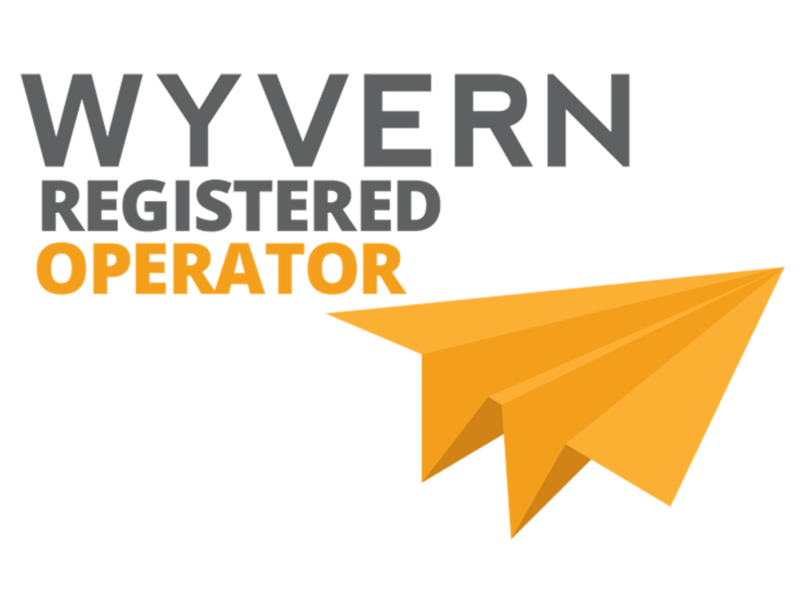 We meet or exceed all Wyvern audit standards for global flight departments. Privaira adapted the Aviation Safety Action Program (ASAP). ASAP was developed by the Air Charter Safety Foundation (ACSF) in cooperation with the Federal Aviation Administration (FAA). A voluntary, self-reporting program, ASAP identifies and reduces possible flight safety concerns while mitigating risks. Consequently, this program gives employees a non-disciplinary approach to identifying and reporting safety issues to management. Additionally, ASAP reports to the FAA for resolution without employee fear of legal enforcement action or company disciplinary action. As a result of these reports, ASAP investigates and takes corrective actions based on a non-disciplinary approach to flight safety.